A British cybersecurity researcher credited with helping curb a recent worldwide ransomware attack pleaded not guilty Monday to federal charges accusing him of creating malicious software to steal banking information three years ago. 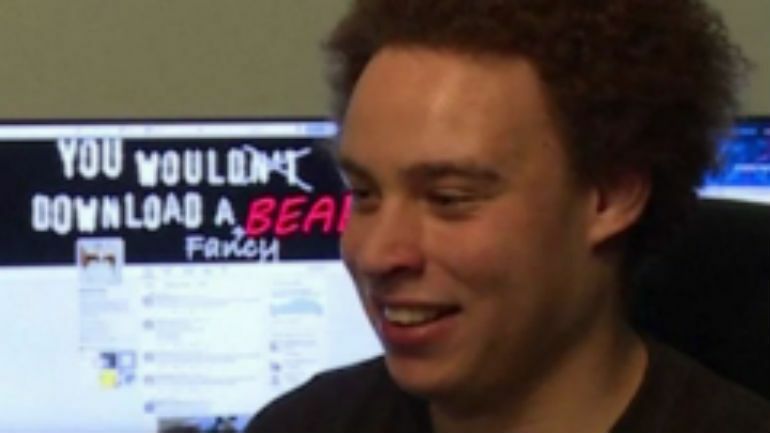 Marcus Hutchins entered his plea in Wisconsin federal court, where prosecutors charged him and an unnamed co-defendant with conspiring to commit computer fraud in the state and elsewhere. Authorities arrested the 23-year-old man on Aug. 2 at McCarran International Airport in Las Vegas, where he was going to board a flight to his home in Ilfracombe, England. He had been in Las Vegas for a cybersecurity convention. “Marcus Hutchins is a brilliant young man and a hero,” Hofmann said. Hutchins left afterward in a white SUV with tinted windows and did not talk to reporters. During the hearing, he only spoke to say “I do,” when Magistrate Judge William E. Duffin asked him if he understood his rights. Hutchins is free on $30,000 bail, but with strict conditions. His bond has been modified so that he can stay in Los Angeles near his attorney and travel anywhere in the U.S., but he cannot leave the country. He was also granted access to use a computer for work, a change from an earlier judge’s order barring him from using any device with access to the internet. Hutchins has been working for a network security company, according to prosecutors, who did not oppose allowing him access to a computer for work. Hutchins is required to wear a GPS monitor, but Duffin said the court will consider removing that requirement once Hutchins has found a home in Los Angeles and is complying with the terms of his bond. The next hearing in the case was set for Oct. 17, with an Oct. 23 trial date, though the latter was expected to change due to the case’s complexity. The legal troubles Hutchins faces are a dramatic turnaround from the status of cybercrime-fighting hero he enjoyed four months ago when he found a “kill switch” to slow the outbreak of the WannaCry virus. It crippled computers worldwide, encrypting files and making them inaccessible unless people paid a ransom ranging from $300 to $600. The indictment says the crimes happened between July 2014 and July 2015, but the court document doesn’t offer any details about the number of victims. Prosecutors have not said why the case was filed in Wisconsin. The name of Hutchins’ co-defendant is redacted from the indictment.